BLOG / Miscellaneous / Native Mobile Apps: One Platform or All Platforms? Native Mobile Apps: One Platform or All Platforms? “There’s an app for that!” is something we’ve all laughed about at some point. It’s a funny look at the reality of mobile apps and the flood of ideas that get turned into them. From medical apps to noisemakers, there’s an app for just about anything. It’s a reflection on how beautifully planned and supported mobile app development is. Apple, Google and Microsoft have made it relatively simple for developers around the world to quickly and efficiently develop mobile apps for just about anything. And brands have swarmed to mobile apps just like everybody else. But is it really wise to build native apps? Ideally, brands would invest in building apps for a single platform or maybe two, if their target market makes use of both in fairly big enough numbers. Oddly enough, we’ve seen numerous brands pump money into every platform in the hope of capturing the biggest audience possible. But as with maintaining multiple social media presence, it will only be one that usually gets the most focus while the rest just rot away. We need to stop looking at apps, social media profiles, websites and other digital activities as “campaigns” or “activations”. We need to begin considering these investments as something long-term, giving us the ability to capture the right audience, build meaningful relationships and make them grow over the years to come. We’re not implying to not do campaigns or one-off activations. Do so, by all means, and give us a call if you need any help! What we are saying though is not to splash your money around, leaving your investments to rot. If you agree with this ideology, you’d probably be the sort of brand that would build an app for a single platform, pay attention to user feedback and release updates for it over several months or years. But here’s a thought – what if you could build one app and cater to all platforms? 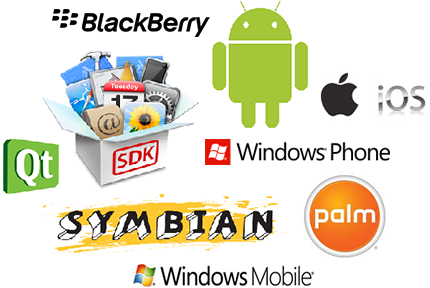 Imagine building an app that works for iPhone, Nokia (running Windows Mobile), Blackberry and Android phones? What if you could update it once and all these devices would immediately receive the update without needing to download anything? What if you could release an update without needing Apple’s approval? What if you developed the mobile app using HTML 5 and powerful front-end frameworks that replicates native functionality? It would allow you to accomplish these points quite easily, in fact. Using these technologies, your users would be able to access your mobile app by simply navigating to a given URL (e.g. myawesomemobileapp.com). The app would load within seconds, presenting the user with the usual functions they would expect from a native app – a menu, the ability to scroll down, etc. A quick “Save to Home Screen” is enough for a lovely icon saved for quick access in the future. As and when updates are released, the user simply needs to open the app. Voila! They have the latest version. HTML 5 allows for browser caching. If Google taught us anything, it’s that a web-based mobile app can provide some crucial functionality without requiring an immediate connection to the Internet (visit gmail.com from your mobile phone to see what we’re talking about). Most apps nowadays (at least, the interesting ones) always download fresh content; hence, requiring an Internet connection when using it. Games and utilities could easily be ruled out here, but content-based apps such as YouTube, Facebook, CNN and so forth, all require an active connection to be of any real use or interest. Many people are constantly connected to the Internet. We really want to say “most” here, but we can’t and shouldn’t… but it is very tempting since there are very few places in metropolitan areas that do not offer some form of connectivity – either 3G, 4G or Wi-Fi. A crucial thing to consider is that users get bored very quickly. An app that does one thing and one thing only gets old very quickly. Apps that download content infrequently get old very quickly. If you have got to survive in app stores, you’re going to need to actively and consistently build on your initial investments – until they no longer make sense, of course. However, if you were to build your mobile app using the technologies we had spoken about earlier, not only will you be able to cater to all platforms through a single app but also release updates quickly, easily and more cost-efficiently. Imagine being able to change an interface the second a new campaign or product launches. Imagine not being restricted to the rules the motherships impose (i.e. Apple and Google). There are limitations to this approach – such as the inability to access some of the device’s core functionalities – but for most brands, what we’re talking about solves a lot of issues with how things are today. With over a decade of development experience, we have the expertise and experience to support your brands on mobile. Get in touch today and have a chat with our Head of Mobile Innovation for more information about the technologies we’ve discussed here and how we can get your brand on all devices today.